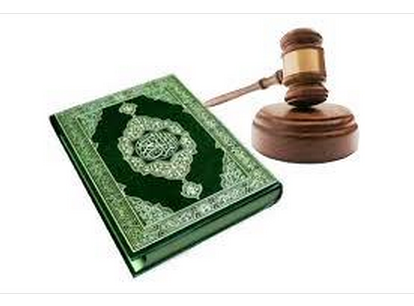 In fact, Islamic law maintains that the testimony of an “infidel” cannot be accepted against a Muslim. (Voice of the Persecuted) Northeast Nigeria is suffering from a series of suspected Boko Haram attacks. The increase of female suicide bombers has brought fears that Boko Haram is forcibly using captives in its terror campaign. The group has abducted many girls and women, including the well known kidnapping of over 200 school girls from Chibok. Most of the girls are still missing. In the center of the region scarred by the Boko Haram insurgency, Nigeria’s military is now moving it’s headquarters to Borno state’s capital, Maiduguri. During his presidential campaign, newly elected President Buhari swore to eliminate the Boko Haram, but the Boko Haram have stepped up their brutal attacks. Since becoming president in the late May, over 200 people have lost their lives to the jihadist militants. Many feel recaptured areas are still under great threat, with the displaced considering return to their own villages dangerous. On June 22, Maiduguri was devastated when a teenage girl strapped with explosives detonated herself at a bus station killing 30 and injured many. Shortly after the blast, another young female was seen running away from the crowd and detonated at a far distance from others. Concerns have been raised that these girls may have been Boko Haram captives used as suicide bombers. In separate attacks on Monday and Tuesday, Boko Haram militants sped into Biu and Hawul villages in a convoy of pick ups and motorbikes with guns blazing. At least 42 villagers were shot as they tried to run from the gunmen, others had their throats slit. The militants took property of value, then set homes and businesses ablaze. Both villages were completely burned to the ground. Yobe state has also come under repeated attacks. On Tuesday, in a village of Gujba Local Government Area of Yobe State, a girl between the age of 10-12 yrs. blew herself up in a market, which killed 10 and injured at least 30. The Islamic group also hit southern Niger on Tuesday, riding in on horses and motorbikes. Five residents of Yebi village were killed in the surprise attack. The village was then burned by the militants. The U.S. government said those responsible for the deaths must be held accountable. “The United States stands with Nigeria in the face of this threat. We will continue to take steps to increase our support for their efforts,” said Department of State Spokesperson, John Kirby. The Bishop of Maiduguri is hopeful the jihadists can be stopped. “We have concrete hope that Boko Haram will be defeated soon. We are praying that Boko Haram will soon become a thing that belongs to the past”, says to Agenzia Fides His Exc. Mgr. Oliver Dashe Doeme, Bishop of Maiduguri, capital of the Nigerian State of Borno, where on June 22 two girls had carried out two attacks, killing 32 people. New attacks were committed in other areas of Borno State, always by suicide bombers. Please pray for peace in Nigeria. Christians in Pakistan face extreme discrimination as 2nd and 3rd class citizens. The Blasphemy law is often unjustly used against them. Muslims consist of an overwhelming 96 percent of the population in Pakistan. Pakistan’s blasphemy law is often misused by Muslims to attack Christians and other religious minorities to settle personal issues. Something must be done to stop this injustice. 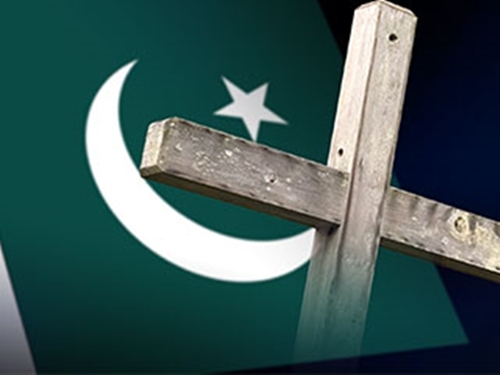 LAHORE, Pakistan (Morning Star News) – The Pakistani government has finished drafting a bill to combat abuse of blasphemy laws to which three Christians in the past month alone have fallen prey, sources said. In Nankana Sahib District of Punjab Province, a Muslim accused a 94-year-old Christian landowner of blaspheming Islam in retaliation for the landowner’s attempt to resolve a disagreement over profit-sharing on a cornfield. Chaudhry Habil Qaiser of Martinpur village on May 27 filed an application with the predominantly Christian area’s inter-faith harmony committee asserting that Maulvi Muhammad Bashir, who used to till his land, was spreading false rumors that he had blasphemed Islam. Qaiser has spent all his life in the same village and is widely respected throughout the district, and the allegations of blasphemy fell on deaf ears. But Bashir then filed an application with Abdul Hameed Rehmani, local head of a group called Tahafuz Khatam-e-Nabuvat, or Protectors of Prophet’s Finality, stepping up fears that the Christian village could face a mob attack. Police had information about the matter and were waiting for either of the two parties to approach them for intervention, said the district police chief of Nankana. “Our intelligence sources reported that no one in the villages had taken notice of Bashir’s claims, and there was no imminent threat of an attack on the Christians,” the chief, Kamran Yousaf, told Morning Star News. He said police were closely monitoring the situation and were ready to intervene if necessary, but that it was better that the village council deal with the accuser. On Sunday (June 14), a 30-member council comprising Christians and Muslims and headed by the Islamist leader, Rehmani, gathered at a local church in the village, where they asked Bashir to repeat his allegations and present witnesses and evidence against Qaiser. Bashir admitted that he had no case and apologized for trying to turn a monetary dispute into a religious issue. Pakistan’s internationally condemned blasphemy statutes also are used to punish people whose psychological challenges cast doubt on whether they could intentionally blaspheme, and if so whether they legally could be held responsible. In the Mehmoodabad area of Mirpur Khas in Sindh Province, Christians earlier this month abandoned their homes to escape possible Islamic attacks after a young Christian man who is said to be mentally challenged, Yaqoob Bashir, allegedly told local Muslims he had burned a copy of the Koran. A mob gathered and threatened to set him on fire. Police took Bashir into custody, which saved his life, sources said. Bashir’s neighbors said the accused frequently visited a Muslim cleric who told him that reciting koranic verses would help in treating his mental condition. Bashir on June 4 reportedly approached the cleric and sought a copy of the Koran. He then allegedly burned the Koran at his home and buried the ashes. A case against Bashir was registered in the Mehmoodabad Police Station, where Bashir is said to have confessed and sought forgiveness. Pakistan’s blasphemy statutes require intent to be proven for conviction. Another Christian said to be mentally unstable, Humayun Faisal, was accused of desecrating the Koran a couple of weeks earlier in Lahore. Faisal was immediately taken into custody, and a case was registered against him under Section 295-B for desecrating the Koran, but that did not stop Muslim mobs from rampaging in the Dhoop Sari area of Lahore where Faisal lives, source said. Police and paramilitary troops averted major losses by baton-charging the crowds to bring calm. In light of frequent abuses, the federal government has finished drafting of a bill to forestall abuse of the blasphemy statutes. Proposed by the Interior Ministry and vetted by the Law Ministry, the bill aims to keep anyone from taking the law into their own hands. According to a report by the Islamabad-based Centre for Research and Security Studies, 52 people accused of blasphemy have been murdered since 1990. The bill also metes out harsh penalties for those who have levelled false accusations of blasphemy, according to officials. A report in the Express Tribune cited a senior official at the Interior Ministry as saying that procedural loopholes in Pakistan Penal Code’s Section 295-C, blaspheming Muhammad, have been identified and some new clauses incorporated into the bill. Speaking ill of the prophet of Islam is punishable by death in Pakistan. According to the official, the new law would make it necessary to prove not just intent but “bad intent,” or mens rea, for conviction. Mens rea is a legal phrase used to describe the mental state a person must be in while committing a crime for it to be considered intentional. It can refer to a general intent to break the law or a specific, premeditated plan to commit a particular offense. European countries’ concern over the rising tide of abuse of the blasphemy law is said to be a primary reason for the new legislation. The Human Rights Commission of Pakistan recently reported that abuse of the blasphemy law continues to take a heavy toll in terms of human lives and harassment of citizens. At least 14 people are on death row, and 19 others are serving life sentences, on blasphemy charges. Investigations have revealed that the reasons for the accusations often stem from personal enmity, property disputes and religious hatred. CBN shared that a Christian congregation in southern Pakistan has received a deadly ultimatum from local Muslim criminals: give up their church’s land or face a false accusation of blasphemy. The threats against Jerusalem Church, a Pentecostal body of believers located in Karachi, began in May by Muslims infamous for their violent reputation. “This church was constructed in the late ’90s and carries the membership of over 300 Christian families; however, the (criminals) are after it and want to grab the whole property to use it for their agendas,” John Nazareth Adil, a local social activist, told the International Christian Concern. For Christians in Pakistan, blasphemy accusations, true or not, can be lethal. Just last fall, a Christian couple near Lahore was beaten and burned alive after allegedly burning papers containing verses from the Koran. And in March 2013, an entire neighborhood was razed to the ground after a local believer was accused of blasphemy. Despite the danger, the church is standing its ground. “The Christians of the locality have responded in a brave manner and announced that they will die before they let them grab the church property,” ICC quoted Jerusalem Church Pastor Ilyas Masih. Meanwhile, the international community is being urged to stand in the gap for Pakistan’s persecuted Christian community. Asia News reports that 10 Muslim scholars and a former Pakistani judge gathered recently at a “seminar for protection of the prophet’s dignity” and expressed their concern over the proposed legislation that is attempting to add the word “intention” to the nation’s blasphemy law. Christian lawyers in the region are speaking out about the incident, which occurred on May 24. A Christian man was accused of burning pages of the Quran, considered blasphemy and has led to mob attacks on Christians in a number of cases. CP reported that Dominican Fr. James Channan, director of the “Peace Center” in Lahore said the actions of Haji Pir Shafiq and two other Muslim leaders helped to prevent what most likely could have been a Christian massacre. Channan revealed that “two other Muslim leaders distinguished themselves for their intervention in favor of Christians”. He also relayed that often in Pakistan, when a Christian is accused of blasphemy, the entire Islamic community rises up against him or her, without waiting for the authorities to get involved. Pervez Rafique, a Human rights activist and former minority member of parliament representing the Pakistan People’s Party in Punjab, told The Christian Post in an interview back in May that Pakistan’s harsh blasphemy laws will be hard to change, because of the government’s “strong relations” with Muslim extremists. Fides reports there is need to form a “Joint Investigation Team JIT”; to release Asia Bibi and all other defendants in prison on charges of blasphemy: is what the “Pakistan Christian Congress” (PCC) asks for, indicating the need for the investigation team to be made up of civilian and military members, judges and officials, that assess the truthfulness of the allegations. As reported in a note sent to Fides, Nazir Bhatti, Secretary of the CPC said: “Groups of Islamic extremists in Pakistan are using blasphemy laws as a weapon against religious minorities in Pakistan. They have damaged the image of Pakistan at an international level, as a country that violates religious freedom and human rights because the government has failed to stop the abuse of the blasphemy law”. Asia Bibi, a Christian mother of five children, was arrested on 19 June 2009 and sentenced to death on charges of blasphemy in November 2010. After the confirmation of the verdict by the Lahore High Court in 2014, she is currently awaiting the third degree trial, before the Supreme Court. Recently the http://america.aljazeera.com website published a report on the case of Asia Bibi, making available on-line all the documentation related to the trial undergone by the woman at first instance and on appeal. The trial papers confirm that the process was marred by irregularities and it is apparent that the evidence of conviction of the defendant are dubious and contradictory. 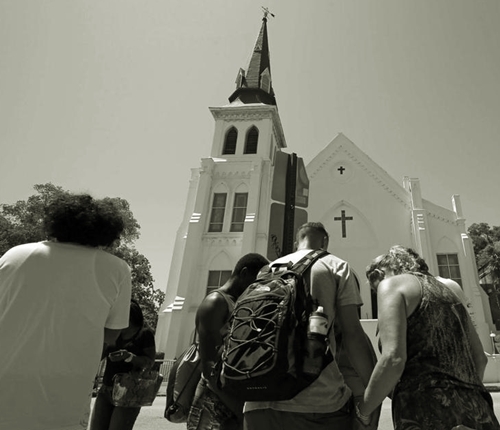 Dear saints let us remember our dear brothers and sisters in Charleston SC in prayer ……. Please pray that God will use this tragedy for His triumph and glory. Please pray for God`s mercy and comfort to be on those impacted by this tragedy. Please pray that black and white churches will rise as one and be the church Jesus means for her to be. Please pray that all churches will unite as one in Christ. That they will pray together. Please pray for the suspect to come to know Jesus. Please pray that there be forgiveness for this man who did this evil deed. Please pray for the American church to wake up to this tragedy and see that persecution is now at our door. UPDATE: Amazing ability in faith through Christ to forgive and pray for those that persecute us, demonstrated by family members at shooter’s bond hearing. On Sunday, March 15, as Christian churches around the world were celebrating morning mass, two churches in Pakistan—one Catholic, one Protestant—were attacked by Islamic suicide bombers. At least 17 people were killed and over 70 wounded. According to an official statement of the Justice and Peace Commission of the Episcopal Conference of Pakistan, despite all the threats received by the churches, authorities only provided “minimal” security. As in other Muslim-majority nations, churches in Pakistan are under attack. On September 22, 2013, in Peshawar, Islamic suicide bombers entered the All Saints Church right after Sunday mass and blew themselves up in the midst of approximately 550 congregants, killing nearly 90 worshippers. Many were Sunday school children, women, and choir members. At least 120 were injured. In 2001, Islamic gunmen stormed St. Dominic’s Protestant Church, opening fire on the congregants and killing at least 16 worshippers, mostly women and children. The rest of March’s roundup of Muslim persecution of Christians around the world includes, but is not limited to, the following accounts, listed by theme and country in alphabetical order, not necessarily according to severity. Central African Republic: At least eight churches were burned in the northern province of Nana Grebizi, after heavily armed Muslim Fulani herdsmen attacked several villages. Two Christians, including a pastor, were killed in the attack; another Christian was severely tortured. After the carnage, the Islamic herdsmen started fires and looted the local population. The blaze destroyed swathes of farmland, at least eight churches, several other mission centers and an unknown number of Christian homes. Germany: A potential jihadi attack on the cathedral and synagogue in Bremen was averted following action by police, a Belgian newspaper reported. Numerous police guarded the cathedral and synagogue and searched a local Muslim cultural center. Lebanon: Unidentified persons invaded Mar Elias, an ancient Maronite church in Bekaa. Along with damaging one of the church’s windows, they destroyed a portion of the flooring, as they dug a large hole near the altar. According to Maronite Bishop Joseph Mouwad, much of the church’s sacred items were left intact and not stolen. Instead, “they broke the tiles and dug the ground, apparently looking for something, though we do not know what.” Fingerprints and cigarette butts were found. Central African Republic: An argument between a taxi driver and his Muslim passenger led tothe slaughter of at least 16 Christians in Bangui, the nation’s capital. A Muslim man known as Aladji hailed a motorcycle taxi and asked to be taken to a Muslim-dominated district of Bangui. He was carrying a bag of grenades. When the motorcycle broke down, the driver stopped to fix it, but his agitated passenger pulled out a knife and tried to stab him. The driver overpowered Aladji and killed him instead. After his body was found, Muslims marched to the Christian sector of the city where they slaughtered at least 16 Christians—some decapitated. Authorities arrested 10 members of Seleka—the almost entirely Muslim rebel group—following the killings. Libya: Two months after the Islamic State in Libya released a video of 21 Coptic Christians having their heads carved off for being “infidels” and “worshippers of the cross,” Copts continue to be targeted and killed. A least 35 more Coptic Christians have disappeared in Libya since that video was released in med-February. And, on March 2, the beheaded body of another Egyptian Coptic Christian was discovered on the outskirts of Mechili town in eastern Libya. In related news, an Egyptian professor claimed that IS received its justification to slaughter Christians in Libya from a book titled (in translation) Christians in the Koran. The author of this book is Mahmoud Lutfi ‘Amr—president of Damanhur’s Ansar al-Sunna al-Muhammadiya, that is, “The Supporters of Muhammad’s Example.” The book was being openly sold in Islamic bookstores all throughout Egypt. Pakistan: A Christian mother accuses police of torturing her son to death in an attempt to extract from her a confession to a theft she did not commit. Zubair Masih was buried on March 9 in a Christian graveyard in Lahore, under a heavy police presence. He was 20. His mutilated body was found on the evening of March 7, outside his house in the Shamsabad sector of Lahore. His mother, Aysha Bibi, worked until February 20 as a servant in the home of Abdul Jabbar. She said her wages had been paid in full when she left Jabbar’s employment. But on March 4, she received a phone call from Jabbar’s wife, asking her to return for some work: “When I went there, Jabbar took me to the Harbanspura Police Station, where I was told that I had stolen things from Jabbar’s house,” Bibi said. “Jabbar beat me in the police station while other policemen called me names and forced me to confess that I had stolen 35,000 rupees (about US $350) and gold ornaments weighing up to 100 grams.” On March 6, she said, “the police detained my son Zubair and tortured him in front of me. When Zubair cried with pain, they told him that he would be released only if I confess the theft…. I repeatedly told the police that I had no connection with the said theft, and then they threw me out of the police station while they still detained Zubair there. The next day we found Zubair’s dead body outside our house.” Rights activist say that the allegation made by her former Muslim employer is suspect because he waited a week to register his complaint with police. Uganda: A 16-year-old girl who fled from a Muslim uncle who beat her and her sister for converting to Christianity, died under mysterious circumstances on Sunday, March 8, one day after Muslim relatives who had been searching for her found her. Namwase Aisha died at Iganga Hospital where she had been recovering from malaria after being admitted on March 2, as well as receiving further treatment for a head injury suffered on Feb. 1, when her uncle beat her and her sister with a wooden rod and locked them in a room for nearly three days without food. According to a source, “On Saturday [March 7], Muslim relatives discovered her location and visited the hospital after tracing her whereabouts for some weeks…. Aisha then was responding very well to the medication, but on Sunday morning, after receiving morning medication, she became restless, and we wondered what could have happened to her.” Her condition continued to deteriorate until her death, said a pastor caring for her: “We suspect that the death of our sister Aisha could be related to the medication given the morning of Sunday, which has connection with the arrival of the Muslim relatives on Saturday.” Church leaders considered filing a case against the hospital but felt it would lead to more friction with Muslims, they said. Aisha received a Christian burial near the area to which she had fled on Tuesday (March 10). “As we took Aisha to the burial site, her body was swollen and smelling of drugs, which is an indication that her body could have been injected with unknown drug,” said her pastor. Two years earlier, another convert to Christianity in Uganda was attacked by his Muslim family, including an aunt who poisoned his drink with insecticide. Egypt: “Unknown persons” set fire to the parked car of Fr. Ayub Yusif, the priest of the Saint George Coptic Catholic Church in the village of Dalga, Minya, Upper Egypt. By the time authorities put out the fire, the car was completely charred. Dalga has been the scene of many attacks on Christians. For example, back in September 2013, Muslim Brotherhood supporters forced Coptic households to pay jizya, Islamic “protection money,” to be extorted from Christians and other non-Muslim subjects of the Islamic state. Then, Fr. Ayub, the same priest whose car has now been torched, complained of how the Muslim Brotherhood was abusing the Christians of the village. Kazakhstan: A drug and alcohol rehabilitation center run by Christians in the village of Sychevka, Pavlodar Region, was fined and closed down for three months following a court order that the center was “conducting illegal activities,” including religious worship. This charge, which the center denies, was made after police seized 18 Christian books and other materials in a raid on March 9. The center had housed 14 residents, all of whom had freely chosen to reside there and could leave at any time. Eight of the residents decided to leave after police raided the center last year, scared after being questioned several times. Kenya: Muslims from Somalia attacked two Christian siblings, a brother and sister, in their home. According to the brother (name withheld): “The attackers made a knock at the door, and my sister decided to go and open the door, only to be hit with a blunt sharp object near the forehead. My sister fell down screaming, and I decided to rush in to help. Just at the door, I was hit on my right hand, and I fell down.” When neighbors rushed to the scene, Somali-speaking assailants fled. While doing so, one of the neighbors heard them saying, “We do not want hard-haired [derogatory for Kenyan] Christians in our region—they should go back to where they came from. We shall soon come back again.” Less than a year earlier, the siblings’ father was slaughtered, also by Somali-speaking Muslims. Syria: The International Society of St. Vincent de Paul, a Catholic organization, reported that some of its members in Syria were kidnapped by the Islamic State and told that if the adults do not deny their Christian faith, they will be decapitated and “their children burned alive in cages.” Accordingto Sister Monique, of the Vincentian Daughters of Charity: “Late Sunday afternoon on 1 March 2015, I received a message from M. Francoise, a delegate of the International Society of St. Vincent de Paul [in Rome], and I managed to reach her by telephone. She was leaving for Paris, and collapsed at the news she had just received: members of the Society of Saint Vincent de Paul in Syria were kidnapped, along with their wives and children. The children were isolated and put into cages. Adults who do not deny their faith will be decapitated, and their children burned alive in the cages.” The fate of most of those kidnapped Christians, well over 200, remains unknown. 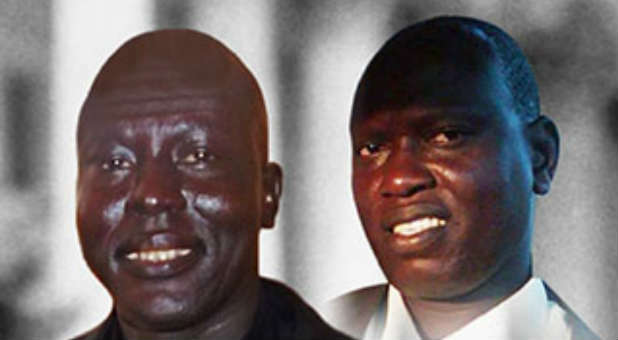 South Sudan (Morning Star News) – Prosecutors produced no new evidence today in the trial of two South Sudanese pastors facing the death penalty on charges of undermining the Sudanese constitution, sources said. At a hearing in Khartoum in the trial of the Rev. Yat Michael and the Rev. Peter Yein Reith, the same two officials of the National Intelligence and Security Services (NISS) who testified previously offered the same weak evidence as before, a relative in the courtroom told Morning Star News. A defense attorney asked the NISS officials to produce evidence for the charges, including spying (Article 53) – which along with “undermining the constitution” is punishable by death or life imprisonment – and waging war against the state (Article 51), which calls for the death penalty. “When the two witnesses were asked by the defense attorney, they could not answer the question,” the relative said. The pastors are also charged with disclosure and receipt of official information or documents (Article 55); arousing feelings of discontent among regular forces (Article 62); breach of public peace (Article 69); and offences relating to insulting religious beliefs (Article125). A NISS official previously testified that the pastors were collecting information for a human rights group. The court heard the defense’s presentation as well as the case for the prosecution at today’s hearing, relatives said, but did not issue a ruling. The attorney defending the two pastors said the trial was going well. The next hearing is scheduled for Thursday (June 18). Michael, 49, was arrested on Dec. 21, 2014 after speaking at the church service in Khartoum, and the 36-year-old Reith was arrested on Jan. 11 after submitting a letter from leaders of their denomination, the South Sudan Presbyterian Evangelical Church (SSPEC), inquiring about the whereabouts of Michael. On June 4 the two pastors were transferred from a low-security prison in Omdurman to the high-security Kober Prison in Khartoum North and are being held in separate cells. Relatives said the church leaders were in chains as they were brought to their respective cells. “We have been denied visits to our husbands since we last saw them on June 3,” the wife of one of the pastors told Morning Star News. Prison administrators told family members the church leaders were transferred to the high-security prison, and that relatives were forbidden to visit them, because of actions – possibly taking photos – by some foreigners who had visited them. Christian Solidarity Worldwide reported that the defense attorneys have also been denied access to the pastors since the transfer to the high-security prison. NISS has assigned them to separate cells to put more psychological pressure on them in the face of the widespread attention their case has garnered from the international community, media and right groups, sources said. The International Criminal Court (ICC) in 2010 charged Bashir with genocide and crimes against humanity in relation to conflict in Darfur, and today he avoided arrest over the war crime charges after South Africa let him return to Khartoum in spite of an order for his arrest, according to the BBC. After Bashir was allowed to leave Johannesburg, where he was attending an African Union (AU) summit, an ICC official called South Africa’s failure to detain Bashir “disappointing,” the BBC reported. The Pretoria High Court issued an order for his arrest after his airplane had taken flight. UN Secretary-General Ban Ki-moon said countries who have signed onto the ICC’s statutes, such as South Africa, must implement the warrant for Bashir’s arrest, according to the BBC. The Khartoum Bahri Evangelical Church that Michael had encouraged in December was the subject of government harassment, arrests and demolition of part of its worship center as Muslim investors took it over. NISS officials appear to be determined to punish the pastors for their support of the embattled congregation, sources said. (Voice of the Persecuted) PRAISE GOD! The House has unanimously passed the resolution urging Iran to release three Americans jailed by Iran and provide information on Robert Levinson who while working for the CIA went missing in 2007. The non-binding resolution, which passed late Monday by a vote of 391-0, urged Tehran to free US reporter Jason Rezaian, Pastor Saeed Abedini and Amir Hekmati. Pastor Saeed Abedini was arrested in September 2012 and sentenced in 2013 for leading underground church services and Bible studies. Saeed has been tortured physically and psychologically and pressured to deny his Christian faith. He also suffers from internal bleeding, the outcome of beatings when he was first detained. Recommended by a prison doctor, the Iranian regime refuses to allow him the necessary surgical procedure that he needs. U.S. Marine Amir Hekmati arrested in 2011 on charges of spying for the CIA in Iran was sentenced to death, but his sentence was later reduced to 10 years. Hekmati maintains he was visiting his grandmother and other relatives in Iran and innocent of the charges. In December 2011, Hekmati appeared on Iranian state television and a confessed to the charges stating that he had infiltrated Iran in order to establish a CIA presence in the country. His family claims he was coerced into making the confession and that he was not a spy. A US reporter, Jason Rezaian is being held at Evin Prison after he and his wife, also a journalist was arrested on July 22, 2014 for alleged spying. His wife, was later released in October. In April, Rezaian was indicted on four charges, including espionage and “propaganda against the establishment. 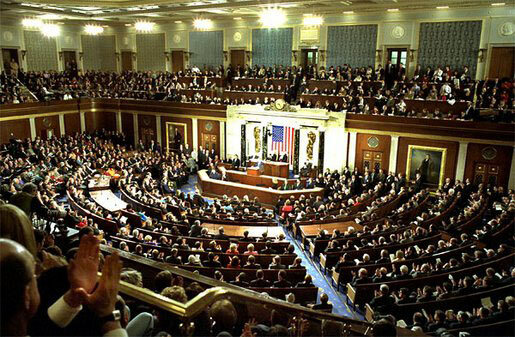 As the June 30 deadline for a nuclear deal approaches, lawmakers are pushing Iran to free the Americans if it wants the U.S. to sign the deal and relieve sanctions against the Islamic republic. Please continue to pray for their release. And for the families who are suffering in their absence. (above) An unidentified mother cries out during a demonstration with others who have daughters among the the schoolgirls kidnapped by Boko Haram in Chibok, Tuesday April 29, 2014, in Abuja, Nigeria. Militants with the deadly Boko Haram extremist group have burned down six northeast Nigerian villages and killed 37 people near the insurgents’ Sambisa Forest stronghold, a survivor has revealed. A special thanks to the Editor at The Olive Branch Report for supporting our mission!